“I have directed Police Commissioner Jere Green to review and update our police officers conduct when it comes to use of force. “I made this decision following recent police incidents and the use of force throughout the country. “I want to make it abundantly clear that our police have never been accused of excessive use of force, and I am proud that our police officers conduct themselves with the highest degree of professionalism. 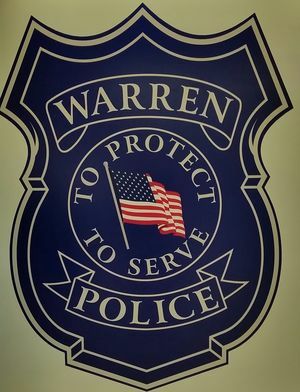 “Our (City of Warren) Police Department Training Division will immediately review our present and past training as it relates to community relations and the use of force. “The Police Department does a training block each year in January that includes mandatory annual updates, but it also includes what we feel are current issues. Now, we are going to focus on training that aids officers in their contacts with our cultural diversity, with persons who have mental health issues, with recognition of physical issues, and then a concentrated effort to train officers in de-escalation techniques. We want officers to be well-trained on how to handle all situations. “As part of this training update, I have directed our Police Department to include meetings throughout our city to work with community groups, such as Neighborhood Watch teams, to seek input from our residents. This entry was posted in James Fouts. Bookmark the permalink.